2019 SPRING CSA Season runs for 11 weeks! It begins the week of April 7th and will continue through the week of June 22nd. The Spring Season offers a wonderful variety of fresh, vitamin and mineral rich healthy foods through our Community Supported Agriculture (CSA) program. Our extensive array of Spring foods are grown on several acres of fields and gardens. Members are welcome to shop via our online A La Carte store which opens each Saturday or Sunday and closes Tuesday at noon. Non-members may shop as well in order to sample our produce and consider joining as a farm member. Experiment, broaden your palate's horizon, and improve your immune system with our fresh, unadulterated products that have a wholesome taste even toddlers enjoy! 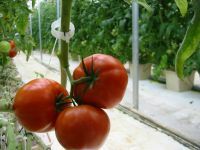 We have the ability to grow and provide to you many varieties of tomatoes in our greenhouses as well as a variety of lettuces, spinach, cucumbers, Japanese turnips, watercress, swiss chard, kale, green beans, carrots, sweet peas, cilantro, rosemary, garlic chives, spring onions, peppers to name a few. Also available are farm fresh eggs from pastured/free range hens who are fed an Omega-3 enriched vegetable diet with Organic Sea Kelp and Flax Seed. We work closely with neighboring farmers to provide their Local Pasteurized Non-Homogenized Milk, Local Pastured Beef, Lamb, Pork, many varieties of fruit, Virginia Pasta, Bread and Butter Pickles, Virginia Pancake/Waffle Mix, Virginia Maple Syrup, Shenandoah Raw Honey, Virginia Peanuts, Shenandoah Valley Spices to name a few of the delicious wholesome foods we will work very hard to bring your way.